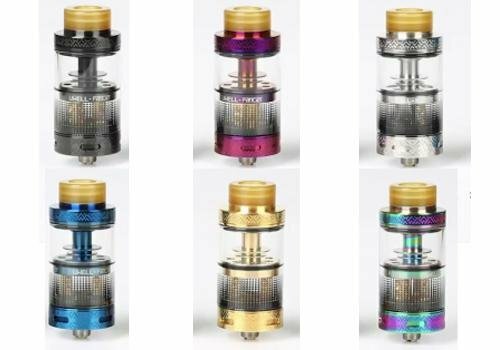 New from Uwell, comes the Fancier RTA and RDA Tank is determined to push the edge in rebuildable technology! Implementing a unique tank section combined with an intuitive build platform that can changed from RTA and RDA at ease. A follow-up to its dominant line-up in the Sub-Ohm Tank segment, Uwell spared no expense when crafting the Fancier RTA and RDA Tank. The base diameter measures 24mm in diameter, constructed with beautiful engravings made from Stainless Steel and a stylistic glass section that can hold up to 4 milliliters of e-juice. 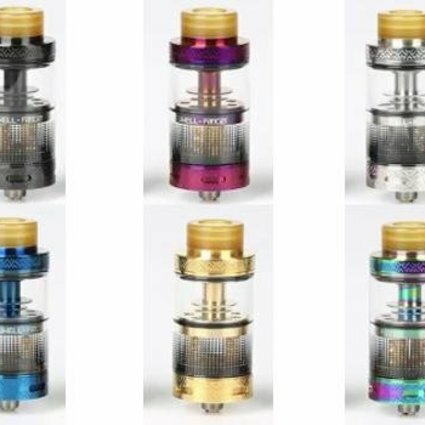 The design of the apparatus is different than traditional rebuildable tank, built with a central upper glass holder that houses wicking cotton and can be removed to transform the Fancier Tank into a squonk--ready RDA platform. To finish off the structure is a heat-resistant PEI widebore drip tip for a functional and visually striking impression. The gold-plated build deck features a tried-and-true two-post, dual terminals design that can accommodates a wide range of build configurations and complex wires. Airflow of the Fancier implements four external airslots throttled via knurled bottom base, redirects up into the two internal airtubes for excellent cooling properties. Carrying on the heritage of elite performance level systems and taking innovation one step further, the Uwell Fancier RTA and RDA Tank is machined to be one of the best all-in-one atomizer system available today!